Fast reactors; fuel production and depletion; reprocessing; Pu-239 equivalence; Pu recycle; multiple recycling. In a thermal neutron reactor, multiple recycle of U–Pu fuel is not possible due to degradation of fissile content of Pu in just one recycle. In the FBR closed fuel cycle, possibility of multi-recycle has been recognized. 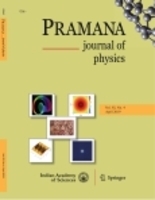 In the present study, Pu-239 equivalence approach is used to demonstrate the feasibility of achieving near constant input inventory of Pu and near stable Pu isotopic composition after a few recycles of the same fuel of the prototype fast breeder reactor under construction at Kalpakkam. After about five recycles, the cycle-to-cycle variation in the above parameters is below 1%.